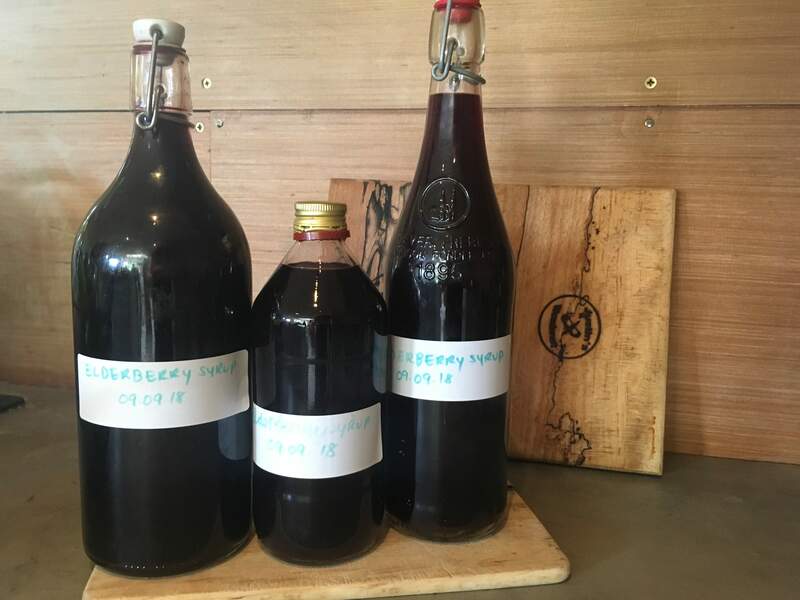 We gently plucked the elderberries off the stalks and followed this recipe, which I’ve used for the last few years to make 3 large bottles of syrup. I also froze enough berries to make another batch in a couple months. 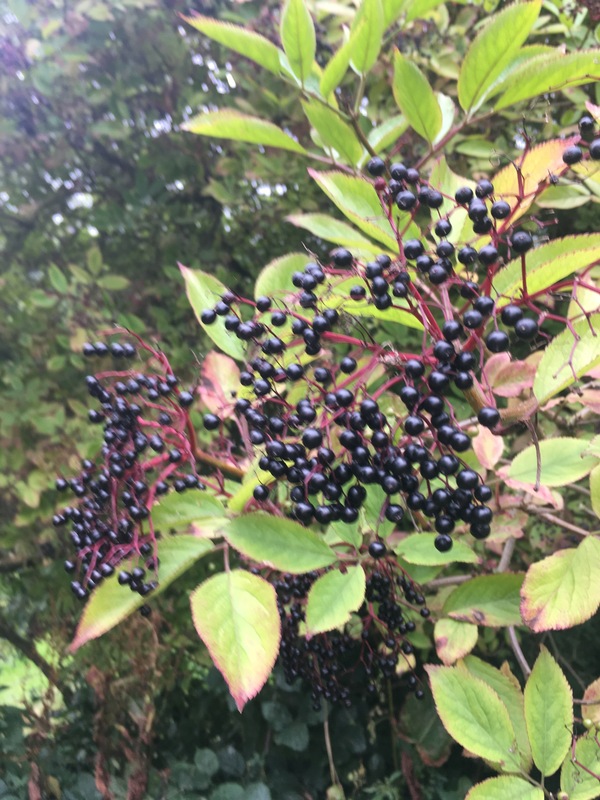 Elderberries are very high in Vitamin C and Vitamin A, they are also high in quercitin (an anti-oxidant), are anti-inflammatory and possess anti viral properties that are known to treat colds and flu. I use it as a tonic for heading into the winter – a tablespoon a day with breakfast. This is the recipe I use and usually I do 3 or 4 times the amount at a time, which makes 2-3 75cl bottles of syrup. Put the elderberries, water, cinnamon, ginger etc. into a saucepan and bring to the boil. Let it simmer for 30 minutes then take off the heat. Mash the berries to get all the juice and strain it all into a clean bowl. Once it has cooled a good bit add the honey. It will keep in the fridge for 1-2 months in a glass bottle with a good lid. I’ve also begun adding a capful of whiskey/available alcohol per bottle to help it last in a cool cupboard for a few months. Elderberries can also be frozen in season to make another batch later in winter. Siobhán Daffy runs Natural Rhythms Homeopathy from Alethea Holistic Centre. She works with adults and children looking for natural ways to maintain physical and emotional wellness. She’s also a mother of two who’s interested in using natural garden produce and wild herbs/berries to build immunity.